Learn to inflate your tubes efficiently and correctly for a smoother, radder ride. Picture this: You’re just starting out on a ride, and you notice your bike isn’t moving as smoothly as it was last week. It’s not cornering as well, either. 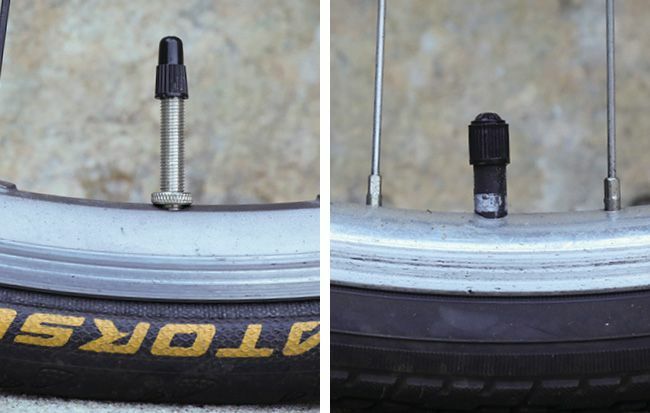 Before assuming you somehow lost all your bike-handling skills overnight, check your tyre pressure – it might be time for an arm workout courtesy of your bike pump. Tyres need the right amount of air to function optimally, and getting them to the right psi efficiently can require some finesse. 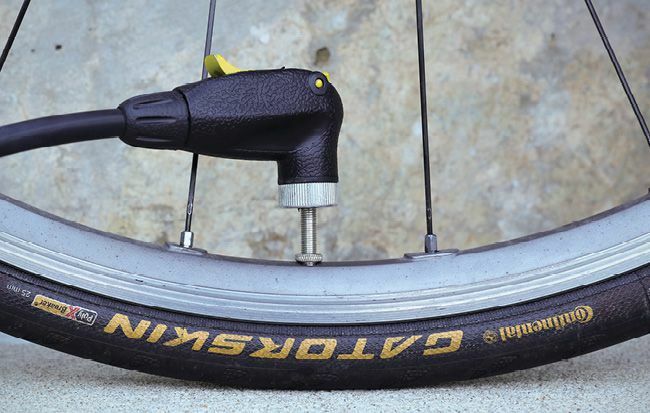 Mitch McCloud at Kamikaze Bikes, walks us through exactly how to pump your bike tyres so you can keep rolling confidently. 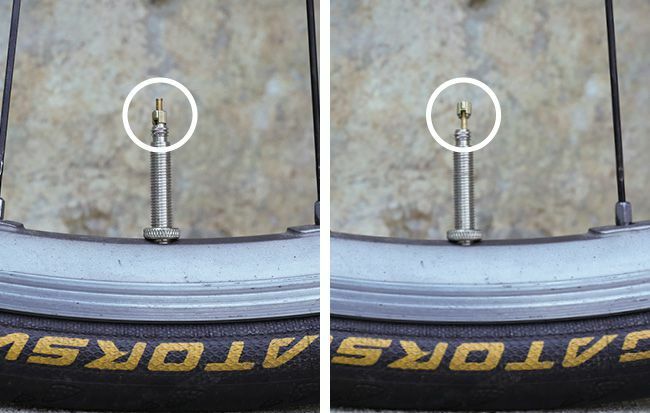 McCloud says that a common mistake new (and even experienced) riders make when pumping their tyres is trying to use a Schrader bike pump with a Presta valve, which just won’t work no matter how hard you try. There are two popular tube valves: A Schrader valve is wider and flat on the end, while a Presta valve is narrower and features a locking nut, which can be loosened to add or release air. An easy way to remember the Presta valve is that you press to let air out. If you’re unsure which valve you have or which pump to buy, it’s always a good idea to ask someone at your local bike shop which they prefer. When it comes to pumps, you almost always get what you pay for. A little extra investment can give you a more accurate psi reading, sturdier materials, and even easier pumping. Before you pump, check the sidewall of your tyre: It should list the pounds-per-square-inch (psi) range that your tyre can safely handle. 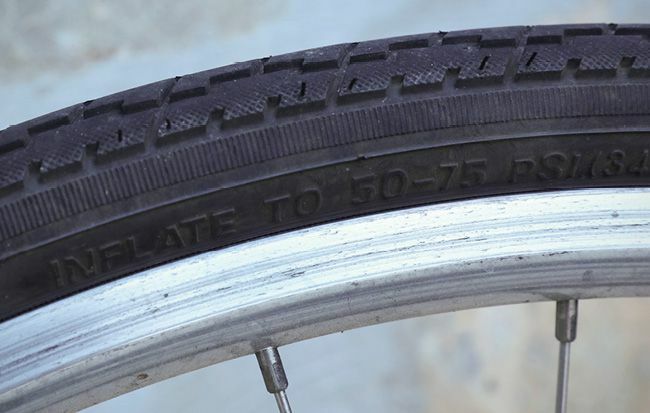 Typically, a road tyre can go between 80 and 130 psi, while a mountain tyre holds between 30 and 50 psi. Hybrids usually take between 50 and 70 psi. Where your personal psi preference falls within the range for your tyre will depend on your weight and riding style – play around with it and figure out what you like or you can use our handy guide here. Fit the pump head onto the valve. Pumps will have either a switch that flips down or up, or an internally threaded screw top. Both systems serve to keep the head in place as you start pumping, which ensures that air actually goes into the valve instead of leaking out while you pump. If air seems to be coming out of the pump and not into your tyres, you may need to readjust the pump head slightly. Just detach and reattach to reset the seal. 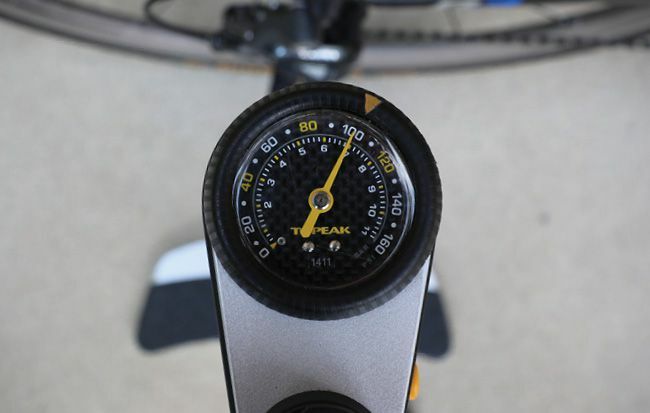 Using the gauge on your pump to guide you, pump the tubes up to your optimal pressure. And use your upper body and core to pump! Squats are great for building leg strength, but they aren’t required for bike maintenance. Let your arms or even your abs do the work – it can seriously feel like a mini workout.